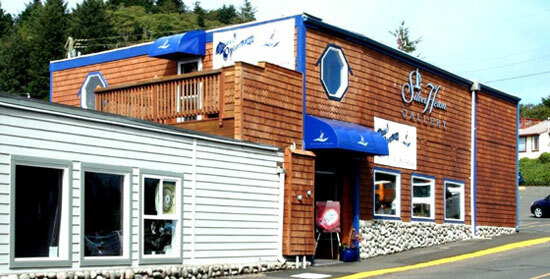 Welcome to the Silver Heron Gallery located in the charming, historic, seaport town of Depoe Bay, Oregon. Visitors will feel relaxed in the casually elegant atmosphere and can enjoy conversing with owner Talley Woodmark about the variety of artists whose works are on exhibit. Since the gallery's inception, Talley has assembled an outstanding collection of original works by some of the world’s leading artists. The gallery has a commitment to setting high standards for the work that it shows. Its goal is to represent artists who are the "crème de la crème" in their chosen mediums. These artists have national and international reputations, and their works belong to major museums as well as corporate and private collections. In addition, the Silver Heron Gallery also shows the work of emerging artists and craftspeople of exceptional talent and vision. Their work, more modestly priced, offers the beginning collector an opportunity to consider the purchase of a single piece or starting a collection. Talley Woodmark's knowledge and enthusiasm have attracted the loyal support of both distinguished artists and collectors, from novice to experienced. 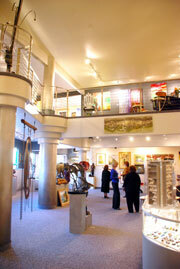 Many clients have become long-term friends of the gallery who enjoy following "their" artists' careers. The Silver Heron looks forward to your visit. Appointments can be made for a private consultation. Please take a moment to browse the website.